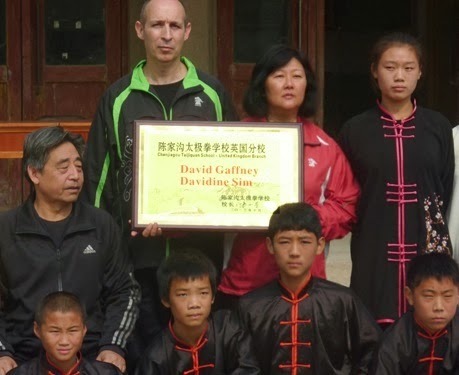 Talking Chen Taijiquan with David Gaffney: Taijiquan's "Placing Hands"
Many people approach Chen Taijiquan’s “push hands” without really appreciating its subtleties and its place within the training curriculum. 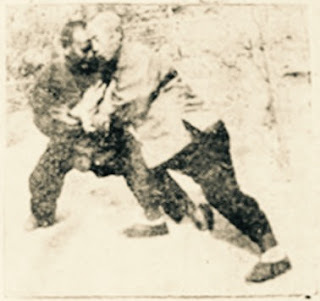 Interestingly even the term “tuishou” or “push hands” is a relatively recent term. Go back through the literature left by earlier generations and the term more commonly used was “geshou”. The literal translation of this is “putting hands”, but for readability in English we can say “placing hands”. Think of the action of putting a glass of water onto a table. Without paying attention and putting it down carefully we’ll either spill the water on the way to reaching the table. Or, worse we’ll drop the glass onto the floor if we release it too early. From this simple example we can see that the distance, angle etc must be exact. The following text is adapted from Paul Brennan’s translation of Chen Ziming’s 1930s Taijiquan treatise. “…you will begin to sense that the subtleties of the placing hands exercise come entirely from the ordinary practice of the Taijiquan form. All of the principles within the form manifest from a balanced energy. Placing hands is the application of that balanced energy. Diligently practice the form. Once you are accomplished at it, you will naturally be able to move on to placing hands… In the beginning, work hard and unceasingly. But you must not learn placing hands first as it will undermine everything you are working towards, and for your whole life you will never be able to reach the heart of the art. If you do not first learn the form, and you instead want to start with placing hands exercise, you will be like an infant who learns to walk before learning to stand – ie always falling over. To abandon the beginning in search of the end is to start with the goal and neglect the work that will get you to it. If you do not know what comes before and follows after, how can you be on the right path? It is the form that is to be practiced first. People who first learn placing hands are all impatient for quick results, and they do not start with the form because they are all afraid of the hard work it entails and want only comfort. Unable to face up to the proper sequence of training, they just want to jump ahead. It is like wanting to draw lines and circles without the use of compass and square. In this way, they all produce something that a true craftsman would deem worthless”. Even with the basis of good form skills students must not become transfixed with the idea of pushing their opponent or forcing their techniques on and “winning” the encounter. This is a serious misunderstanding of the exercise. While it may seem to have been applied instantaneously, an accomplished practitioner applying a technique goes through the following four stages.